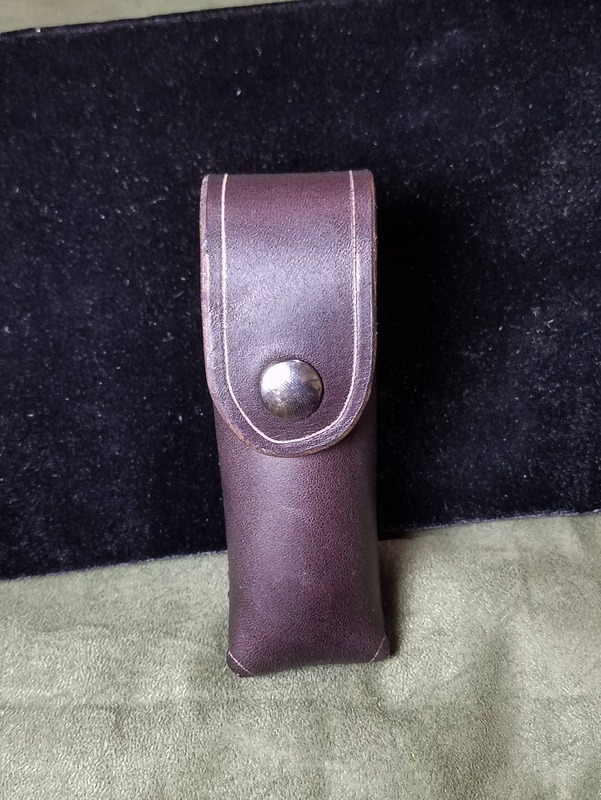 This listing is for a handmade leather pouch that can be used to secure your knife, multi-tool, or whatever else you want on your person, but not in your pocket. 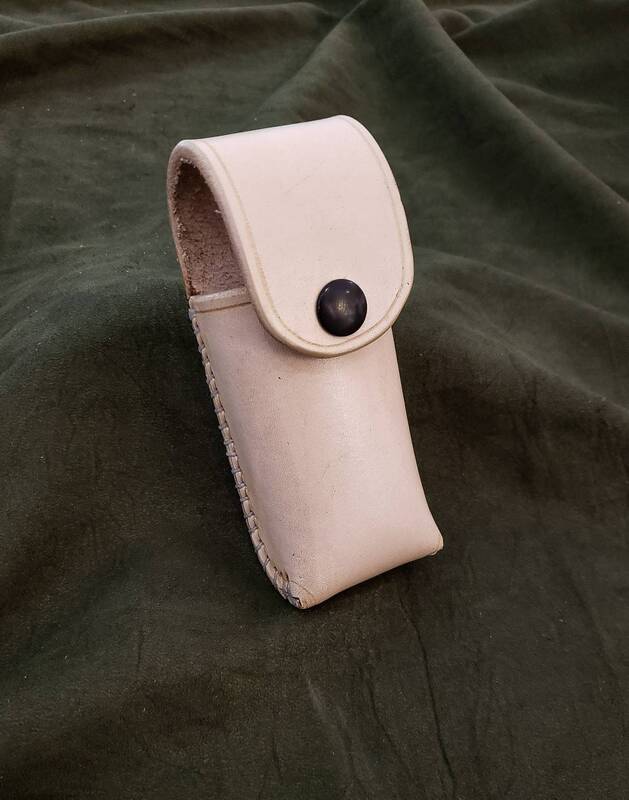 Each pouch is handsewn out of 8-10 ounce latigo cowhide, and features a snap closure and riveted belt loop. 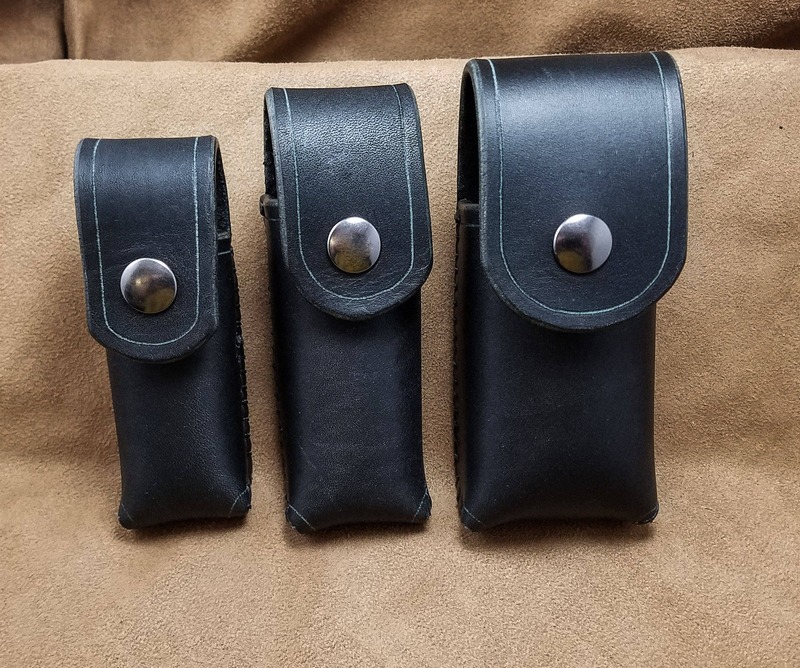 We offer pouches in three different sizes, based on whatever you need to carry. Here are their dimensions, as well as a few examples of what will fit into them. Small: 1.25" X .75" Wide 4" Tall. 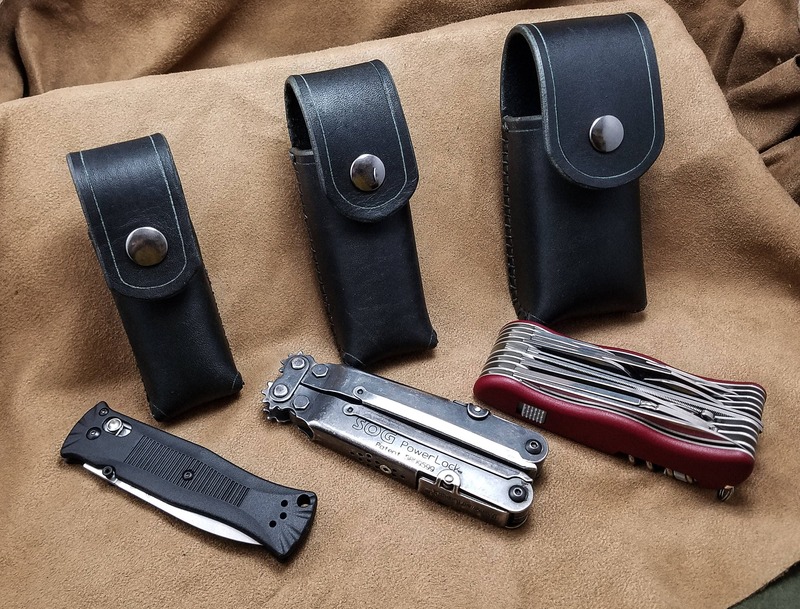 Will fit small pocket knives, simple Swiss army knives, etc. 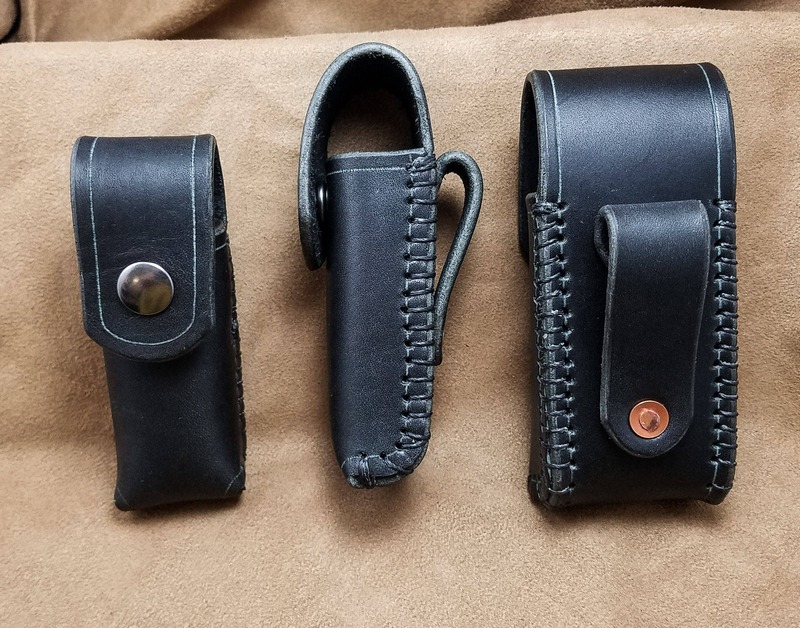 The leather pouch I received was well made better than the original pouch my leatherman came with. The pouch belt loop sits nicely on belt and the slight gap allows for easier access to contents. I highly recommend this pouch in any size.